Saint Faustina’s notebooks are valuable not only for an explanation of how the devotion to Jesus, the Divine Mercy came about. So many pages of the Diary are insights into the spiritual life which are very useful especially for contemplatives. Furthermore, Saint Faustina’s experiences of hell, purgatory and heaven partially lift the veil to eternity. Most of all, the Diary gives us a glimpse of the Lord Jesus, especially as a teacher of the spiritual life and as Divine Mercy itself. Mercy, he explains, is the greatest attribute of God. The book is not easy reading! My copy, a thick one, consists of 600 pages and, at P600, may not be affordable to everyone. The purpose of this article is to enable the readers to have an overview of the Diary and of the Divine Mercy devotion itself. 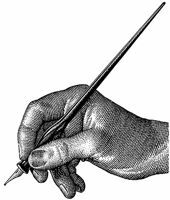 It will hardly suffice, of course, but considering our hectic times and the lack of time of people to read voluminous books, this short article may help. Saint Faustina was Helen Kowalska, the third of ten children in a poor but pious peasant family in rural Poland. She was pious from childhood but being born to a poor family, had hardly three years of schooling. At the age of fourteen, she left the family to serve as a domestic in the nearby cities. 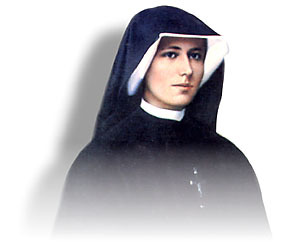 This aspect of Saint Faustina’s life is very important. Realizing her lack of a good education, her inspired, even lyrical, praises to God found in her Diary would only lead one to conclude that she was very much guided by the Holy Spirit. Her piety started even during her childhood years. She recounts that when she was seven years old, at a Vesper Service before the Blessed Sacrament, “the love of God was imparted to me for the first time and filled my little heart.” At the age of eighteen, she told her parents she wanted to enter a convent but they refused. And thus, Helen sought to stifle the divine call, shunning God interiorly, though she was unhappy and restless. Nothing could be plainer than this! She rushed to a cathedral to pray and was told by the Lord to go to Warsaw and enter a convent. Obeying with haste, she was unable to bid goodbye to her parents and left with no belongings, only the dress she had on. After a brief interval during which she searched for a convent and worked as a domestic, Helen was finally accepted to the Congregation of the Sisters of Our Lady of Mercy on 1 August 1925, at the age of 20. In the evening, when I was in my cell, I saw an Angel, the executor of divine wrath… From the cloud, bolts of thunder and flashes of lightning were springing into his hands; and from his hands they were going forth, and only then were they striking the earth. When I saw this sign of divine wrath which was about to strike the earth, and in particular a certain place, which for good reasons I cannot name, I began to implore the angel to hold off for a few moments and the world would do penance. But my plea was a mere nothing in the face of the divine anger. Just then I saw the Most Holy Trinity… At that very moment I felt in my soul the power of Jesus’ grace, which dwells in my soul. When I became conscious of this grace, I was instantly snatched up before the Throne of God. Oh, how great is our Lord and God and how incomprehensible His holiness! …I found myself pleading with God for the world with words heard interiorly…Eternal Father, I offer You the Body and Blood, Soul and Divinity of Your dearly beloved Son, our Lord Jesus Christ for our sins and those of the whole world; for the sake of his sorrowful Passion, have mercy on us. As I was praying in this manner, I saw the Angel’s helplessness: he could not carry out the just punishment which was rightly due for sins. Never before had I prayed with such inner power as I did then. Sr. Faustina writes that the next morning, as she entered the chapel, it was then that the whole prayer of the Chaplet prayed on Rosary beads was taught her, in words she heard interiorly. The Diary of Saint Faustina runs to 600 pages not just because it is an exposition of the origin of the Divine Mercy prayers. Much of it consists of the spirituality of Saint Faustina, her interior struggles, the interaction between student and Master, and the saint’s praises and rapturous hymns to God. As a contemplative nun, Saint Faustina had to abide by the rules of the congregation, foremost of which was the rule of silence. She writes, “The tongue is a small member, but it does big things. A religious who does not keep silence will never attain holiness… Sometimes we kill with the tongue; we commit murders.” While this advice should be taken to heart by monks and nuns, it would also be good for us lay people to take notice! While ordinary lay readers will find Saint Faustina to be so high up the spiritual ladder to be a role model, some of her outstanding qualities, like her love for the Lord and her desire for union with Him, are for all. Her raptures of love and praise may not be understood by us who have not experienced such mystical encounters but it should serve to remind us of what we must strive for, of what we are still missing in our lives. As a matter of fact, reading the Diary, you will conclude that while Saint Faustina lived on earth, half of the time her spirit was already in the spiritual plane. She saw the Lord at times with her eyes but also on some occasions in a purely interior manner, in a purely spiritual way, independent of the senses. Consequently, this Polish nun who had little schooling is considered by theologians as one of the outstanding mystics of the Church. Let me go beyond the Diary and ask why we, especially priests, should propagate this devotion. While it could be said that the Church has accepted the devotional prayers, instituted the Feast of Mercy after Easter Sunday, and canonized Saint Faustina, much still remains to be done. The Chaplet and Three O’clock prayers are personal prayers which could be said all throughout the year and we ask: how many really pray in these hectic times? While the Feast of Mercy is already in the church calendar, I have observed it is sometimes drowned in a sea of Holy Week activities in the parish so much so that it does not really gain the prominence it deserves. One drawback I have also observed is the tendency of some, even priests, to frown on devotional prayers (including the Rosary), saying these things are for the old folk and emphasizing the importance of the Holy Mass. Undoubtedly, the Mass is the most important prayer. However, the Chaplet is not supposed to replace or diminish the importance of the Mass. Reading the Diary you will be overwhelmed by the ardor of Saint Faustina for the Holy Eucharist. Loving the Divine Mercy prayers does not mean loving the Mass less. The Chaplet and Three O’clock Prayers, however, add to the rich treasury of prayers of the Church. With their brevity, they fit our frenzied times. We cannot all go to Mass everyday but we can unite for one minute at 3:00 p.m. to say the Three O’clock Prayer. If millions of us do that everyday, what a powerful prayer to God that would be! The strongest argument for Divine Mercy comes from what the Lord says to Saint Faustina: “Be at peace, daughter. This Work of mercy is mine; there is nothing of you in it.” If ever we propagate it then, we are merely obeying the Master. Divine Wisdom has given us short, powerful prayers for this oh-too-frenetic world. Looking at all the grievous sins of humanity, especially abortions, other sins against life in the womb, and homosexuality, we can only realize there is an urgent need to implore God’s mercy. In this light, devotees, even the lay, should realize that in saying the Divine Mercy prayers, they, like Saint Faustina, are standing before God, imploring His mercy for our sinful world and praying that His Divine Wrath may be appeased. What a serious and grave task this is! While in the Diary Saint Faustina cites the religious (especially the contemplative nuns, I suppose) as the ones holding back God’s arm against the world, I have noticed a unique phenomenon, maybe true in the Philippines only. We have been giving out wallet-size copies of the Divine Mercy and Rosary prayer guides–around 1.7 million to date. Out of 20 people who call up asking for copies because they want to propagate the devotion, 19 are lay people! I can only surmise this is Divine Mercy at work again–the Lord Jesus calling the little ones, not only the priests and nuns. If you go to Mass on Sundays only because you do not have time anymore and are burdened with the anxieties in life… if you are sometimes overwhelmed by your personal cares and the difficulties you meet in the environment… if you feel you are a mere human being, weak and sinful, and hardly able to do a noble thing… if you want to help a friend or relative in dire need–call on Jesus, the Divine Mercy. He reserved His greatest attribute – Mercy – for our times, for you and me. Click here to return from Saint Faustina to Divine Mercy.